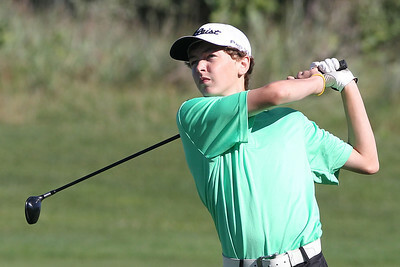 Local golfers compete in the MCJGA Oak Grove Open Monday, August 6, 2012 at Oak Grove Golf Course in Harvard. Mike Greene - mgreene@shawmedia.com Jacob Casey watches his approach on the 6th hole during the MCJGA Oak Grove Open Monday, August 6, 2012 at Oak Grove Golf Course in Harvard. 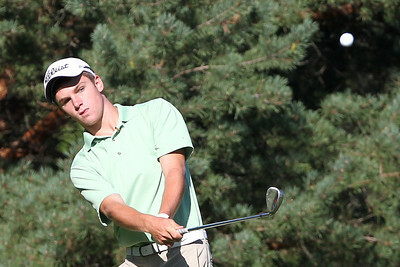 Casey shot a 82 on the day, earning him a tie for third place in the boys senior division. 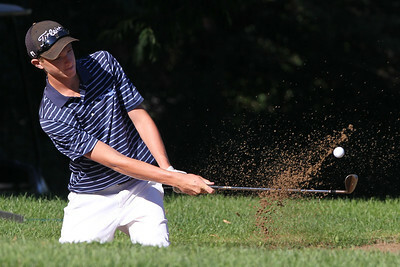 Mike Greene - mgreene@shawmedia.com Hunter Simonini hits out of a bunker on the 11th hole during the MCJGA Oak Grove Open Monday, August 6, 2012 at Oak Grove Golf Course in Harvard. 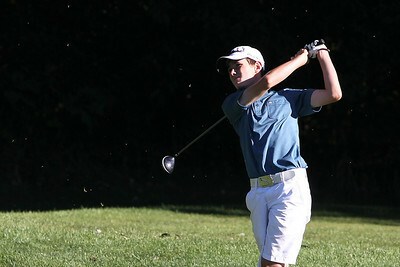 Simonini shot a 82 on the day, earning him a tie for fourth place in the boys junior division. Mike Greene - mgreene@shawmedia.com Danielle Roulo cringes watching her putt on the 1st hole during the MCJGA Oak Grove Open Monday, August 6, 2012 at Oak Grove Golf Course in Harvard. 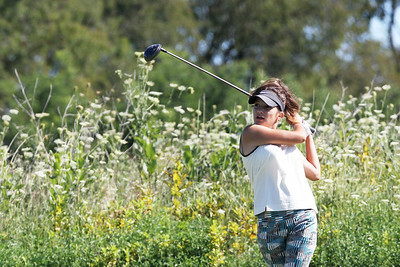 Roulo shot a 43 on the day, earning her second place in the girls senior division. Mike Greene - mgreene@shawmedia.com Carter Pierce hits an approach shot during the MCJGA Oak Grove Open Monday, August 6, 2012 at Oak Grove Golf Course in Harvard. 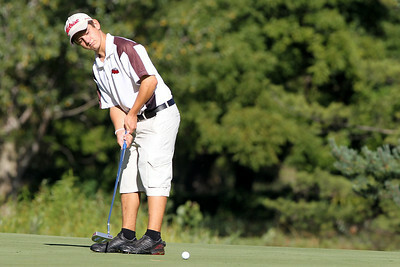 Mike Greene - mgreene@shawmedia.com Jake Bowser watches hit putt roll towards the hole during the MCJGA Oak Grove Open Monday, August 6, 2012 at Oak Grove Golf Course in Harvard. 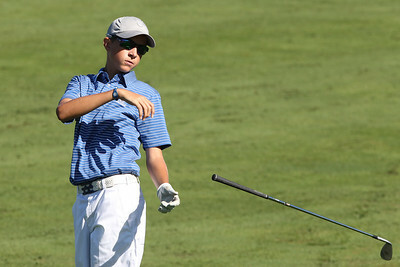 Bowser shot a 78 on the day, earning him third place in the boys junior division. Mike Greene - mgreene@shawmedia.com Paul Schlimm drops his club after a shot on the 6th hole during the MCJGA Oak Grove Open Monday, August 6, 2012 at Oak Grove Golf Course in Harvard. Mike Greene - mgreene@shawmedia.com Austin Wiggerman watches his shot out of a bunker on the 6th hole during the MCJGA Oak Grove Open Monday, August 6, 2012 at Oak Grove Golf Course in Harvard. Mike Greene - mgreene@shawmedia.com Alixandria Rhode watches her second shot on the 2nd hole during the MCJGA Oak Grove Open Monday, August 6, 2012 at Oak Grove Golf Course in Harvard. Mike Greene - mgreene@shawmedia.com Jenna Kurosky watches her drive on the 2nd tee during the MCJGA Oak Grove Open Monday, August 6, 2012 at Oak Grove Golf Course in Harvard. Kurosky shot a 45 on the day, earning her a tie for fourth place in the girls senior division. Mike Greene - mgreene@shawmedia.com Grass flies in the air after a drive by Josh Haskins during the MCJGA Oak Grove Open Monday, August 6, 2012 at Oak Grove Golf Course in Harvard. Austin Wiggerman watches his shot out of a bunker on the 6th hole during the MCJGA Oak Grove Open Monday, August 6, 2012 at Oak Grove Golf Course in Harvard.